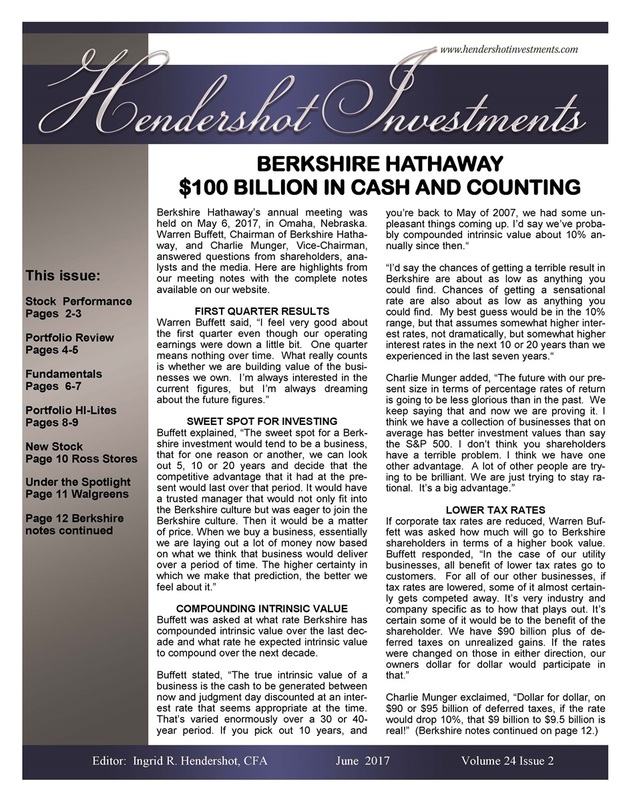 Hendershot Investments is a quarterly newsletter designed for the long-term investor. We hope you enjoy the past issues. The latest issue is only available to clients and subscribers.To subscribe, click here. We will send a copy of the latest Hendershot Investments newsletter along with an invoice for the $50 annual subscription price. The March 2019 issue―DIVIDENDS, DIVIDENDS, DIVIDENDS!―has been mailed to clients and subscribers. Included in this issue is a new stock that long-term investors should put on their radar, a HI-quality global market leader with growing dividends, solid growth, durable competitive advantages and profitable operations.